Bagasbas Beach in Daet, Camarines Norte is one of the top surfing destinations in the Philippines. It is known for its long and wide stretch of fine, gray and powdery sand with big waves that roll in from the Pacific Ocean which makes it an ideal spot for surfers of any level. It is known to provide barrels, that can be experienced between July to November and sometimes, all the way to January. 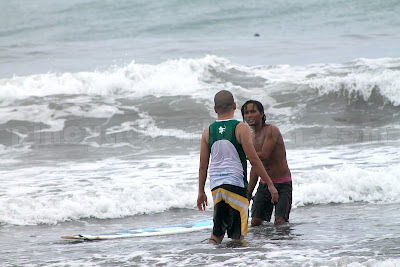 Tara, let's go surfing in Bagasbas! 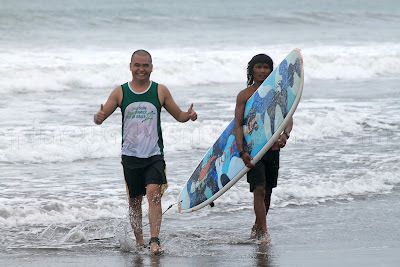 We went to the surf instructors that were provided by the Department of Tourism with surf boards. You can find them at the park across the beach. Just look for Mocha. An hour of surfing lesson with surfboard rental and instructor costs 400 pesos. 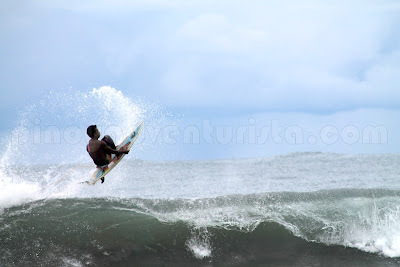 The swell was good when we were there. 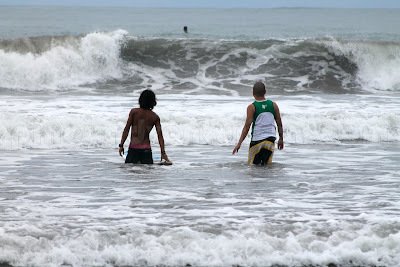 I must admit, I got a bit scared when I saw how huge the waves are. But my instructor assured me that it's okay and I can do it. 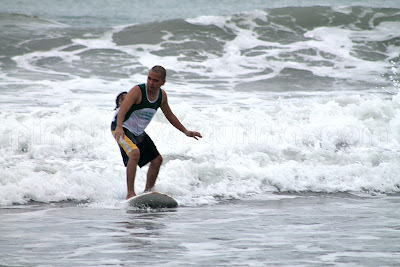 After the quick lesson, we went to the waters and started the surfing lessons. Though not as perfect, I am amazed that I was able to stand on the board on my first try. Wahahaha! 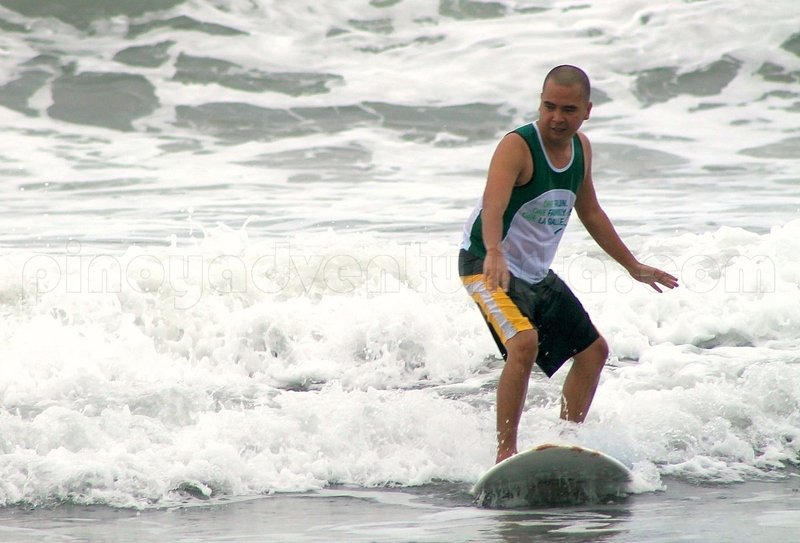 Is it because I've done this for several times before or is it because the waves here are just so strong to hold me still on the board? Hahaha! Whatever it is, I am happy to quickly get my balance. Woohoo! 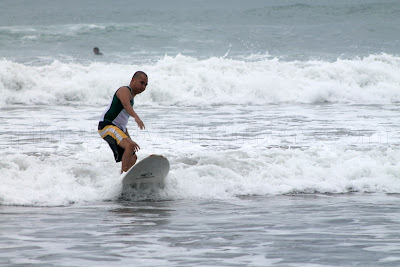 So, I did it over and over again until my 1-hour surfing lesson is finished. I am so tired! Hahaha! 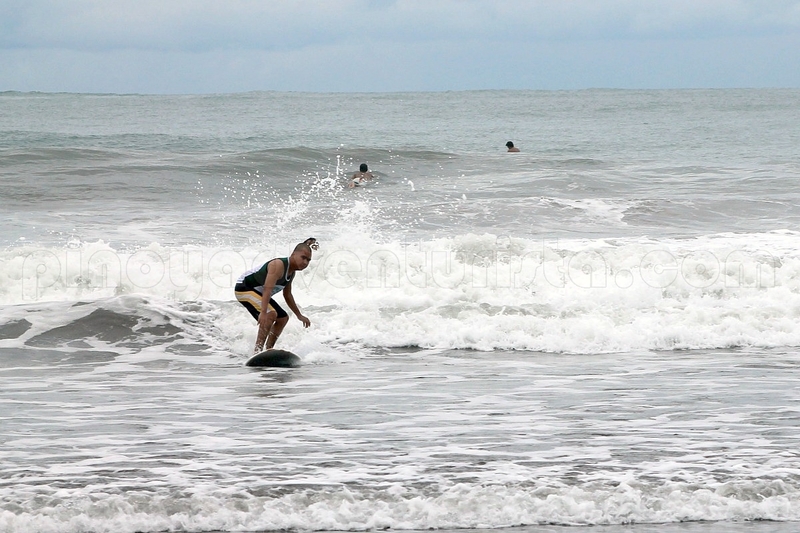 I'm just so happy to finally ride the waves of Bagasbas. I've been dreaming of it for such a long time. To feel the power of the waves pushing the board and the strong current underneath is such an awesome experience! By Land: From Manila, take bus bound for Daet, Camarines Norte. Travel time is about 8 hours and fare is around 700 pesos. 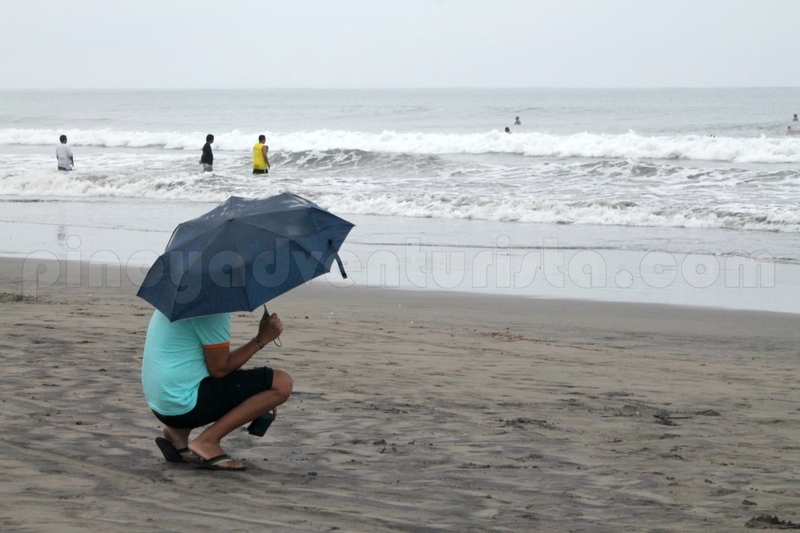 Form the town center, take or hire a tricycle for 30 pesos to Bagasbas Beach, which will take about 10-15 minutes. By Air: There are no commercial flights to Camarines Norte. The nearest commercial airport is in Naga, Camarines Sur. From Manila, take and 40-minute plane ride to Naga. 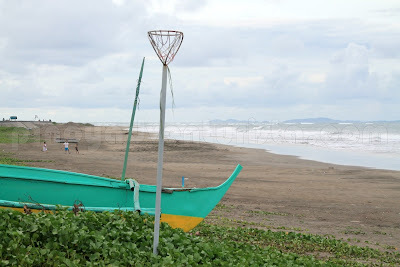 Then take a public van (188 pesos) or bus(around 140 pesos) to Daet, Camarines Norte, travel time is 1.5-2 hours. 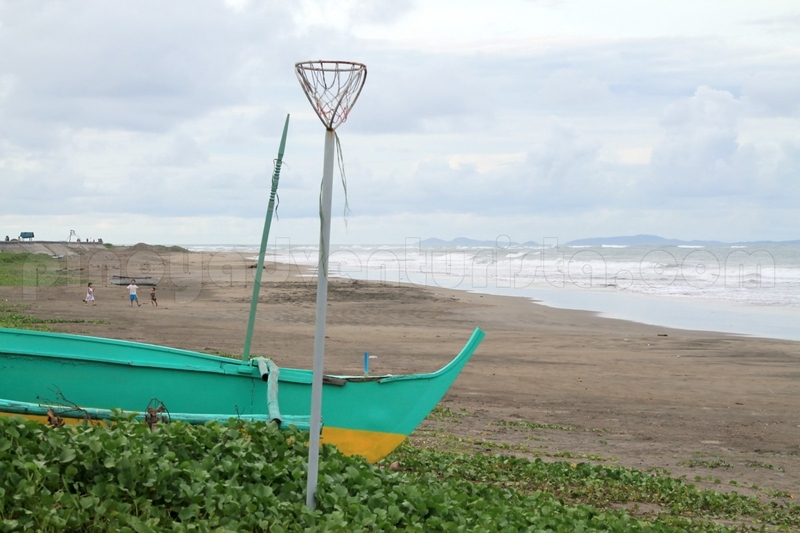 Form the town center, take or hire a tricycle for 30 pesos to Bagasbas Beach, which will take about 10-15 minutes. Another surfer wanna-be here. 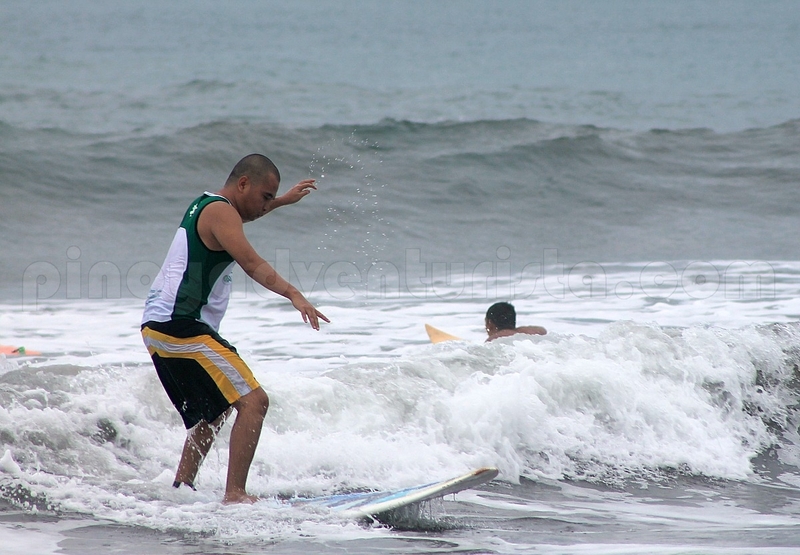 :) But I don't think I'll be able to stand on the surf board (read: balance problems). I envy you! You're not doing bad for a beginner!